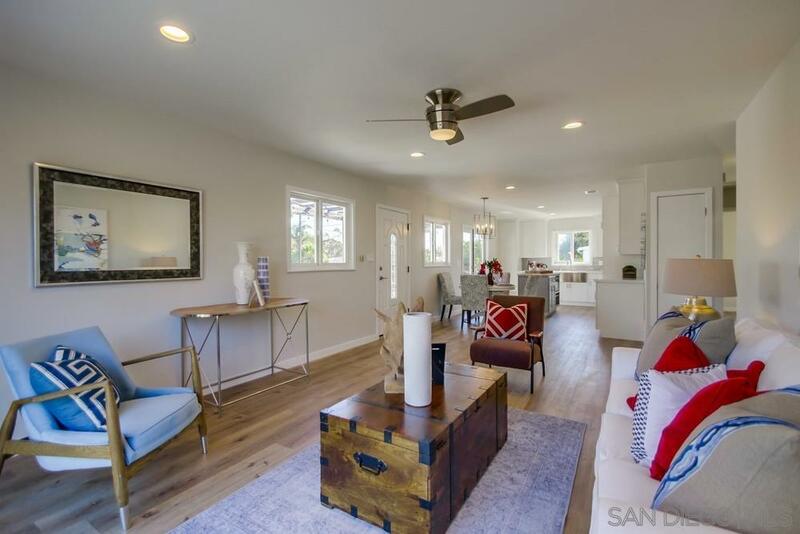 Absolutely gorgeous remodeled 3 bedroom/2 bath home located in highly sought after North Clairemont. Bright/light kitchen with French doors opening to large patio perfect for relaxing/entertaining. Everything NEW! Quartz counters in kitchen w/SS appliances, island w/butcher block top, wide vinyl plank floors, roof w/drip edges, LED fixtures, custom shower w/seamless glass panels, barn door in master bathroom, tubular skylight, fresh paint, plumbing/electrical upgrades plus many more tasteful finishes.